Home / Newsroom / "Lead Integrator Atos successfully completes delivery of world's biggest IT sports contract for Sochi 2014 Games"
Atos, the worldwide Information Technology (IT) Partner of the Olympic and Paralympic Games, today announced it has successfully delivered the core systems that enabled the smooth running of the Sochi 2014 Olympic Games. During Sochi 2014, Atos unveiled a number of technology firsts. For the first time at an Olympic Games, Atos implemented full virtualisation in all its Games Data Centres, helping to reduce the number of servers by 40%, compared to Vancouver 2010. It also worked on the Olympic Video Player (OVP) for Olympic Broadcast Service (OBS) which allowed users to view live streaming of all events. Over the two weeks of the Games, a total of 91 countries were covered by the OVP, users consumed over 660,000 hours of video and audio and 278 events were available as Video on Demand with statistics. There were a number of other ground-breaking technology initiatives: the Olympic intranet was delivered over a mobile platform and results were delivered to the Games website over the Cloud. At Sochi 2014, Atos was responsible for leading the consortium of technology partners to design, build and operate the massive, mission-critical IT infrastructure and solutions that supported the 2014 Olympic Winter Games, the world's largest sports IT contract. Atos also played a key role in supporting the Sochi 2014 Organising Committee for the recruitment of the 25,000 volunteers needed for the Olympic and Paralympic Games. The entire process was provided online through a dedicated portal developed by Atos. Volunteers were able to log in securely and register for training, access information and resources, and receive news. Atos Business Technologists together with the Sochi 2014 Organising Committee and the other technology partners meticulously prepared and tested the Games IT systems for any eventuality. In the same way that athletes have devoted four years of training to peak for two weeks of competition, the Business Technologists spent a similar time configuring, testing and re-testing 10,000 pieces of equipment deployed to 30 Games venues. That total included 400 servers, 1,000 security devices and 5,600 computers. During the Sochi 2014 Games, Business Technologists processed over 10 per cent more competition data than ever before for media and news agencies worldwide and enabled up to 370 stories to be published in English by the Olympic News Service each day since the Opening Ceremony. Patrick Adiba, Executive Vice President, Human Resources, Olympics and Major Events at Atos said: “After 22 years of collaboration with the IOC, Atos and our team of Business Technologists have once again worked tirelessly over the last four years to successfully deliver the key IT system required and ensure the smooth running of the Games. Our challenge at each Games is to create an IT solution that supports every moment of the action to be brought to everyone worldwide. It is our job to prepare for any surprises or challenges and this is exactly what happened during the women's downhill skiing event, when there were two Gold medal winners. From an IT perspective, our systems knew exactly what do. Atos also executed its new digital marketing campaign “Today for the Games, tomorrow for you” which highlighted five core business technology solutions that are integral to the Games: security, big data, cloud, social collaboration and mobility. This campaign consisted of figures of the day, which were related to Atos's delivery of the IT infrastructure as well as more in-depth pieces of content and thought-leadership blogs from the Atos Scientific Community. The content was available on Atos.net and on social media platforms, including Linked In. The campaign strapline “Today for the Games, tomorrow for you” demonstrated what Atos can deliver to both existing and potential customers, in the context of what it already provides for the world's biggest sporting event. Atos has been the Worldwide IT Partner for the Olympic Games since Salt Lake City in 2002 and, over the last 10 years, has been integral to making every Winter and Summer Olympic Games a success. It is all of this experience and expertise that allows Atos to consistently deliver outstanding results for clients across the Globe. 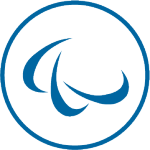 Atos will be the IT technology provider for IOC until 2024. Atos SE (Societas Europaea) is an international information technology services company with 2013 annual revenue of €8.6 billion and 76,300 employees in 52 countries. Serving a global client base, it delivers IT services in 3 domains, Consulting & Technology Services, Systems Integration and Managed Services & BPO, and transactional services through Worldline. With its deep technology expertise and industry knowledge, it works with clients across the following market sectors: Manufacturing, Retail & Services; Public sector, Healthcare & Transports; Financial Services; Telco, Media & Utilities.